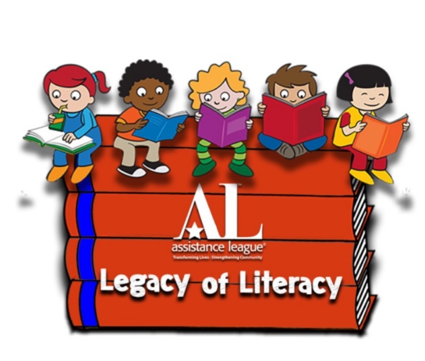 Our Cincinnati chapter of Assistance League is ready to join with all other chapters in launching the first year of LEGACY OF LITERACY! For the last five years we have been part of Make A Difference Day, but this year we are branching out with our own literacy logo and program. In Greater Cincinnati we will again be conducting an essay contest for 3rd graders attending our schools involved with Operation School Bell®. Third graders will be writing essays on their own with the theme “WHY READING MAKES ME HAPPY.” We have merged the reading and writing and are eager to read the student essays at the end of January. A Literacy Team of members will comprise the selection committee. Winning students will be presented with new books for themselves and a collection of books for their classrooms. Special thanks to the Hueneke donation for the funds for this project. The Ferst Foundation states that the single most significant factor influencing a child’s early educational success is through an introduction to books. In middle income neighborhoods, the ratio of books per child is 13:1. In low income households, the ratio book per child ratio decreases to 1:300. Therefore, it is vital that children in low income homes have access to books and reading materials.